It ain't easy finding your distinct musical voice. When your father influenced Bob Dylan, wrote hundreds of songs including the Washington state folk song "Roll On Columbia, Roll On" and is generally known as a giant in folk music, it's even more of a challenge. 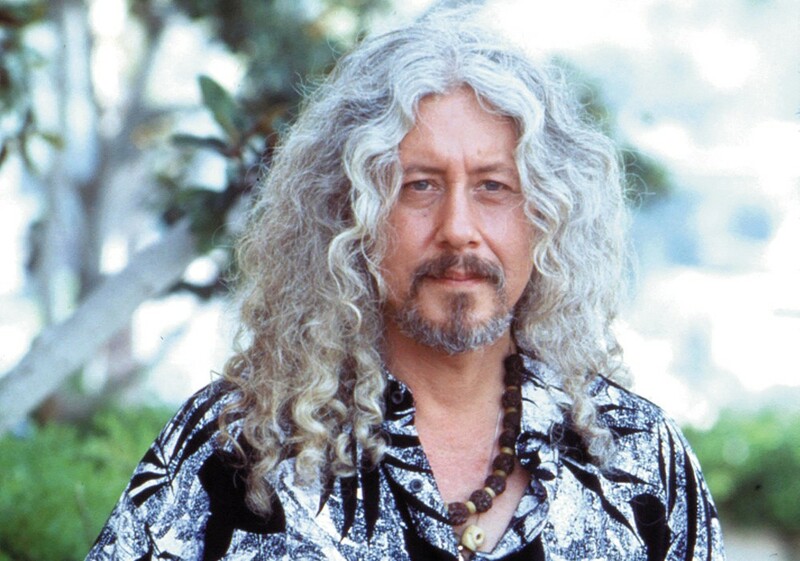 But Arlo Guthrie doesn't live in Woody Guthrie's shadow. He also plays activist-tinged folk music ("Alice's Restaurant Massacree," "Massachusetts") and is a folk legend, continuing the family legacy for decades. Next Wednesday, Guthrie continues the final leg of the two-year Woody Guthrie centennial celebration tour at the Bing Crosby Theater, a venue he's played many times before, back when it was called the Met. Guthrie, 66, no longer takes phone interviews; if he acquiesced to us he'd have to talk to the next newspaper that asked, too. But he was kind enough to reply to questions via email — with his trademark wit on full display. INLANDER: You're on the road, playing almost every night? GUTHRIE: We try to keep it doable, which means we get a little more time between gigs than we used to. How do you keep up your endurance? Ever think it's time to retire, just kick back and relax? The thought enters my mind every so often. Then I remember my old friend, Pete Seeger who passed away a couple of months after playing Carnegie Hall with me at 94 years old (last November). Then I get depressed and think, "I'll never get outta here alive." Then I get philosophical and think, "There's nothing good on TV. Might as well do some gigs." There is such a connection here in Washington state with your father's music (Washington state folk song, Grand Coulee Dam songs). Do you feel that history when you perform in the Pacific Northwest? Are you proud of this history? I share with my father an awe for the natural beauty of this part of the world. He loved the Northwest. Naturally, things have changed over the decades since he was up here roaming around and creating songs about the Columbia River. The sheer majesty and magnitude of the dams they built, is by any standard, still awe-inspiring, even if the immediacy of the projects overlooked the impact of a longer and bigger picture. His songs and his visions saw a nation dependent upon big projects that created the power for industry, agriculture and individuals to be in the forefront of a new 20th Century world. And with it they won the fight against authoritarian, militaristic and centralized governments around the globe. Now we are entering the 21st Century and some of those same foes are still out there, even within our own country. ... I added my own last verse to "Roll On Columbia." "And one day we'll harness the wind and the sun / To take over the work that your big dams have done / And witness the wonder of your free rolling run / Roll on Columbia, roll on ..."
What do you think of the resurgence of folk music in pop music in the past five years or so? Are you glad to see it back, or have they ruined it? It depends on what you mean by "folk music." A symphony playing a tune you'll remember and whistle for the rest of your life is more likely folk music than listening to somebody banging on a guitar he can't play, singing words you can't understand to a group of people who couldn't care less. Who do you listen to now? Who inspires you now? Beethoven — the real king. Or for those not into the original long-hair stuff, Orpheus. Now, there was a guy who could sing! And if you're really out there, check out my buddy, Milarepa — my real hero. Are you still writing/working on a new album? What is that process like for you? I don't write as much, and even the stuff I create, I don't write down much anymore. I'm out singing to creatures of all kinds. And if get enough things I think are of interest to people, I get it recorded. There's a live recording of this tour just released a week or so ago Here Come The Kids and it's a fairly good representation of what you'll hear coming right up. You play with your son; how is that, keeping the music in the family?